On a cold, wet night, the top two teams in the Dulles District met to settle things head-to-head on October 26 in Purcellville. 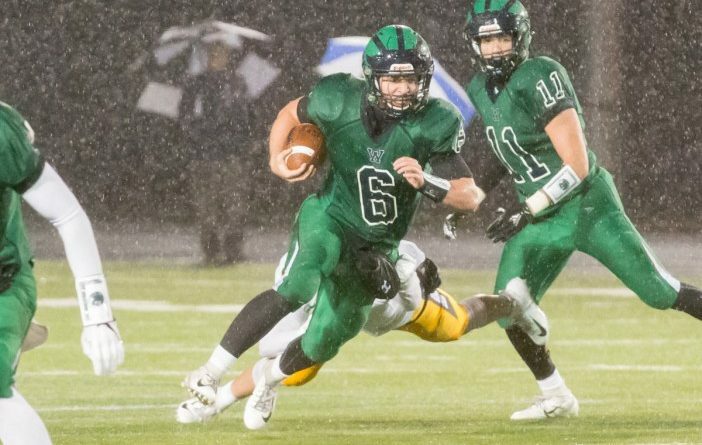 Despite a slow start, the Woodgrove High School football team dominated time of possession and pounded the Loudoun County defense on the ground as the Wolverines ran away with the win, 27-6. The Wolverines’ high-powered offense has been on display since Week 4, having averaged almost 40 points per game coming into their match up against the Raiders. The weather, however, stifled the Woodgrove offense early.